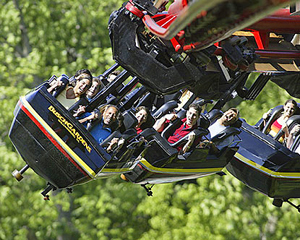 Travel with Scholastic Journeys and spend the day at Busch Gardens Europe, Williamsburg. Tour Colonial Williamsburg including the Governor's Palace and the Capitol Building. Visit Charlottesville; see Monticello and the Rotunda of the University of Virginia designed by Thomas Jefferson. Travel to Washington, D.C. and tour the famous memorials, monuments, and buildings that students learn and hear about in today's schools. This is an exciting tour offering many varied attractions and interests to young people. There are numerous tour options that can be included or substituted for suggested features in this tour. Please contact us for more information. We are experts in customized student tours.